When first introduced in 2000 the “Laughing your way to passing the Pediatric Boards” series was rapidly recognized as the most user friendly Pediatric Board Review Books on the market. The word spread quickly that the information was not only comprehensive and reliable but made learning fun and entertaining. Demand for similar titles for other fields increased exponentially. Because our books help you "Laugh Your Way to Passing the Boards®" we have enjoyed an international reputation for helping physicians throughout the world prepare for their board and re certification exams. You can trust the "Laughing Your Way to Passing the Boards®" series to focus exclusively on what you need to know to pass the exam. We remove all the distracting information found in large textbooks and review books that are essentially mind numbing and eye glazing tables and lists that are impossible to remember without a system. Our books provide that system so the material is not only easier to remember, but impossible to forget ! Even as we approach our third decade in the field, our mission remains the same, to provide comprehensive board review books and study guides that make learning fun and entertaining. Stu Silverstein, MD, FAAP is the founder and CEO of Medhumor Medical Publications, LLC located in Stamford ,CT. The concept of the "Laughing Your Way to Passing the Pediatric Boards®" began in the Spring of 2000. Dr. Silverstein was searching for a Board Review Study Guide that simply broke down the material into chunks that made it easy to filter out material that was low yield. There were no books on the market. Given Dr. Silverstein’s experience as a Standup Comedian, and Comedy writer, he formulated the First Edition of our flagship title and it was an instant hit. Since then this formula has been applied to all of the books in the "Laughing Your Way to Passing the Boards ®" series that now includes books in Neurology as well as Neonatology - Perinatology. The "Surfing Your Way to Pediatric Recertification" uses a similar approach to Pediatricians going through the Maintenance of Certification ( MOC) and new MOCA - Pediatrics Process. Dr. Silverstein’s work has been featured on ABC World News Tonight, the New York Times, CBC news radio and national radio and TV programs. Dr. Silverstein is a regular on air voice for News 12 Connecticut discussing topics related to Children and Pediatrics. 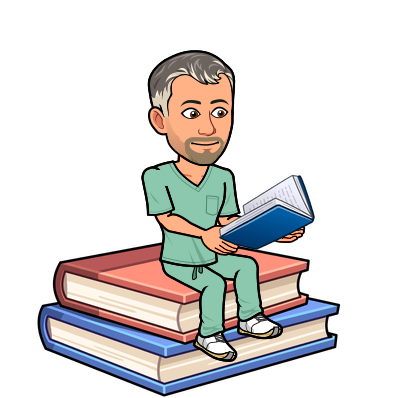 In addition to his work at Medhumor Medical Publications, LLC, Stu is also the founder and Medical Director of Firefly Pediatric Urgent Care in Stamford, CT and is an Assistant Clinical Professor of Emergency Medicine at the New York Medical College in Valhalla, New York. Dr. Silverstein is an avid hockey fan, still plays in the local men’s league and is a Level 3 Certified Coach with USA Hockey.